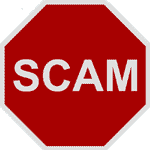 SCAM CONFIRMATION: 2010-02-23: The FPA Scam Investigations Committee has confirmed a scam complaint against this broker. ACTCFX.com is hereby blacklisted by the Forex Peace Army. We urge traders not to do business with this company. HMM, some of what happened to this broker review, happened to me to. I can't WD my acct & now I can't access it !! this really a fuxking rubbish company. I deposit with 100usd, and then after few trade won 444usd. and then i stop trading and request withdrawal of 390usd. and then i went sleep. next morning, i log in into my member area, only 98usd inside my account, in the records there are 7 trades which i never trade in my records, all play in very big amount and lose all my 440usd. somemore, i double confirm before i request the withdrawal, actually i got 541usd inside and i never on my computer since then. how should i trade and lose all the money? it is crazy. and then i go live chat with them. first, they said maybe i want earn more so keep trade after won the 444usd, and then they start ignore any of my questions till now. in the other hand, the 98usd keep inside the account, i already sent request for withdrawal, but still keep pending after few days of waiting. now if i go live chat and talk about my case, those people will just stop chatting after i tell them my case. so, i really hope people can beware of this company and try best to tell people around to stop trading with this company. I opened an account with AC Trading Co and it took them awhile to deposit my funds. Then I download the MT4 and cannot access my account only a demo account. My web account shows funds. I make a withdrawl request and nothing not even a confirmation. I then request to close my account and silence. I am on the FPA site to get some help to recover my deposit. Do not use this broker. The number in the USA is out of service and the Australian number does not connect when you call it. 2010-02-23 The FPA Scam Investigations Committee has confirmed this scam complaint. I have an account with actcfx (AC Trading Co) and I've been winning. I applied for the first withdrawal which was actually my deposit and I got it. Later on, I tried withdrawing, but withdrawal orders seem to magically disappear from the personal cabinet on the website. The third one was still on after I sent them an e-mail saying I'm taking screenshots. Instead, they opened 2 GBP/JPY orders, 25 lots each on my account. The funny thing is those orders won turning the account to more than 100k before the market retraces back again. Now back to the orders, those orders can't be closed, edited nor deleted. I sent them an e-mail saying that I saw their trick. Tried to call them, one number is invalid, the other seems like a mobile, because it rings like 3-4 rings, then I get a busy tone. And now the account is giving the message "invalid account" and of course I can't get any help from their live chat support that's if they answer.